Facebook is taking another page out of Snapchat’s playbook. On Thursday the social network announced selfie filters for live video, which will initially be themed for Halloween. The new feature will be available in Facebook’s iPhone app in the U.S., U.K., and New Zealand and eventually come to Android. 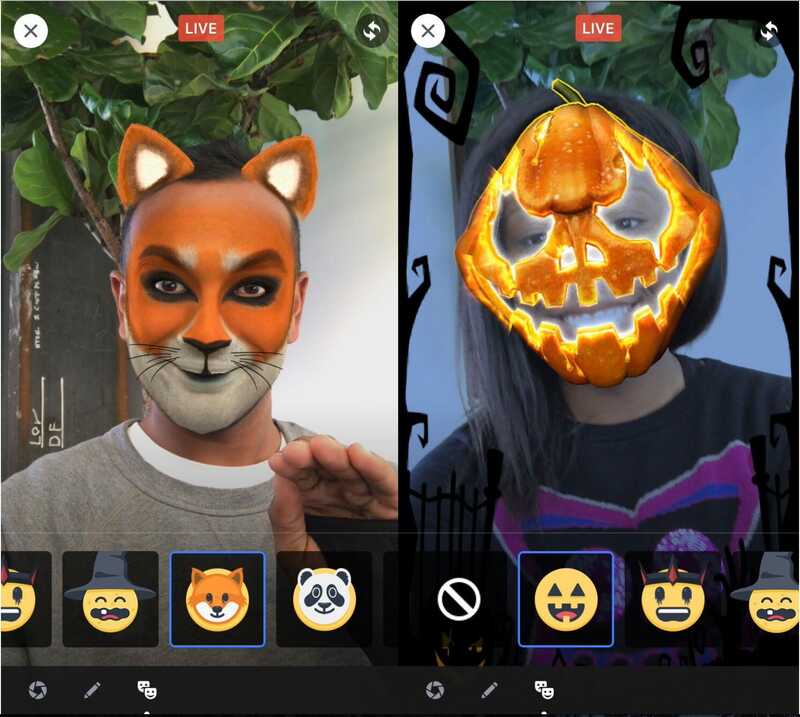 The new filters, which Facebook is calling Live Masks, use augmented reality tech to turn you into things like a skull or pumpkin. They of course look very similar to Snapchat’s Lenses, which have become a meaningful source of revenue for the growing app through sponsorship deals with companies like Taco Bell.